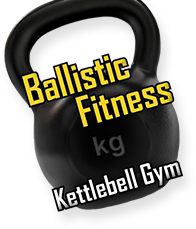 At Ballistic Fitness, we can help you with nearly every aspect of your physical goals. Whether it is losing excess body-fat, gaining strength and muscle mass, becoming more flexible, building stamina, or simply feeling better overall, we can help. We offer personal instruction, group instruction, strength and mobility workshops, youth athletic development coaching, nutritional advice and functional movement screening. We have the experience, knowledge and ability to take beginners and advanced level trainees to the next level. Again, we offer simple answers to help you break plateaus and further your physical self. Our personal training, group training and workshops are one in the same. It is up to you to choose the route that works best. If you need aid in making this decision, a member of our staff can help you with this. All of our training options offer the same level of high-quality instruction you would expect from the leading fitness professionals in the area. If you are a self-conscious or nervous individual, then private instruction probably is the best choice for you. Let’s say you enjoy exercising regularly, then our group training fits the bill. Or perhaps, you would like to hold a kettlebell basics workshop at your gym or office, we can do that too!